Mega Jackpot Alert: US$12.9m Mega Moolah jackpot was won on 5 March 2019 and a CA$3.3 million jackpot was won on 6 March 2019! Over 50 million paid to winners in 2018! In 2018 the Mega Jackpot triggered seven times paying out a total of 50,220,527.14. With an average pay out of just under 7.2 million no other slot game comes even close to Mega Moolah's lump-sum jackpot pay outs! 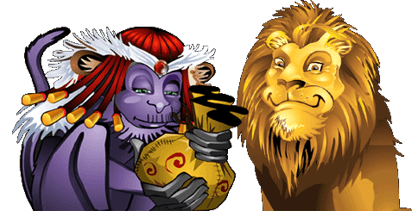 When you start playing Mega Moolah look out for wild African animals lurking in the savanna, that are all cleverly combined with the action from Free Spins, Scatter and Wild rewards, and the randomly triggered Jackpot Bonus Game. There are many ways to play Mega Moolah. One is to play it directly from your favourite browser, such as Safari, Firefox, or Chrome. For Windows PC users there's a download option available, which installs a 'deluxe casino' on the computer - this way the casino is only one click away. Playing on smartphones or tablets, the game is even sharper. To play Mega Moolah mobile always visit MegaMoolah.com to get started. Mega Moolah cannot be played in "fun game" mode because a small seed from every bet contributes to the jackpot fund. Players must register and make a deposit at one of the Mega Moolah casinos. More about banking options. What is the Mega Moolah game theme? The wild Africa themed Mega Moolah offers multiple opportunities for rewards in an innovative and unique combination of 5 reels and 25 pay-lines plus a Wheel of Fortune style jackpot game. Lions are the Wild in every sense, and can double your winnings. The Scatters are featured as Headhunter trophies and if you hit some of these they will open the door to 15 Free Spins that re-trigger and 3x all of your winnings throughout the free spin cycle - more game info. How is the Mega Moolah jackpot determined? The Mega Moolah Jackpot consists of four progressive jackpots that can be won by spinning a wheel of fortune type of bonus game. These progressives are known as; the Mini, Minor, Major and the Mega Jackpot, which is the largest and has a guaranteed payout of one million pound sterling contributed by Microgaming. Additionally, from each bet placed on the game, a small seed (fraction of the bet amount) is placed into a progressive jackpot pool. When the Jackpot Bonus Game is triggered it appears in a window over the base game. The player then spins the wheel to see how much they won as every spin is a winner. The bonus game is triggered randomly guaranteeing equal opportunity for players at all times. Read the full Mega Moolah review to learn more about the Internet's most popular jackpot slot game. What is the biggest amount won on Mega Moolah? €18.9 million won on the 28th of September 2018, however the £13.2 million won by a British soldier is still recognised by the Guinness World Records as the largest jackpot won on any online slot game. The new record will be ratified by Guinness World Records in due time. Read all about the Mega Moolah winners. Is there a Mega Moolah Rewards Program? Yes, read about the VIP program that has produced the more Mega Moolah winners than any other comparable program. Is Mega Moolah available from my country? Visit the country page to check if Mega Moolah is available from your location. On MegaMoolah.com you can find more progressive games with jackpots to be won and stakes to suit players on a budget to the high roller. The final win amounts can be seen on the winners page.